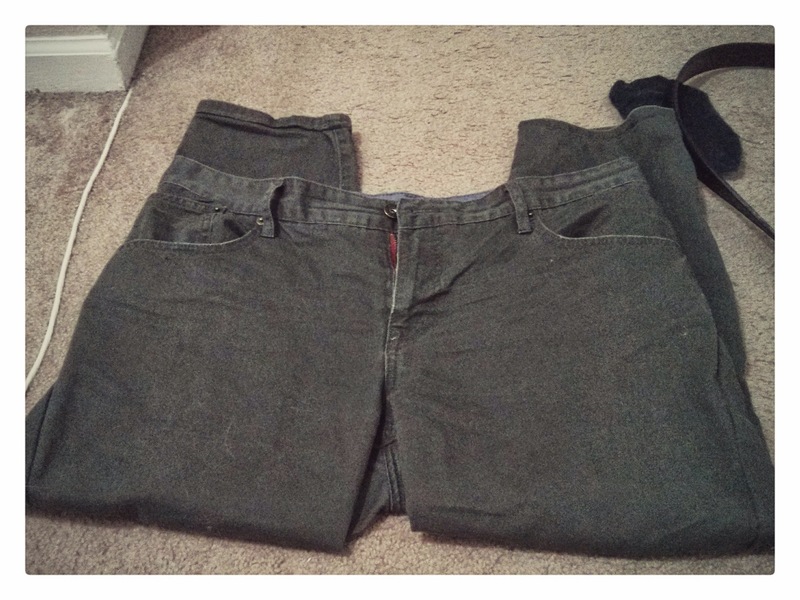 PANTS FIX: JUST MY SIZE! 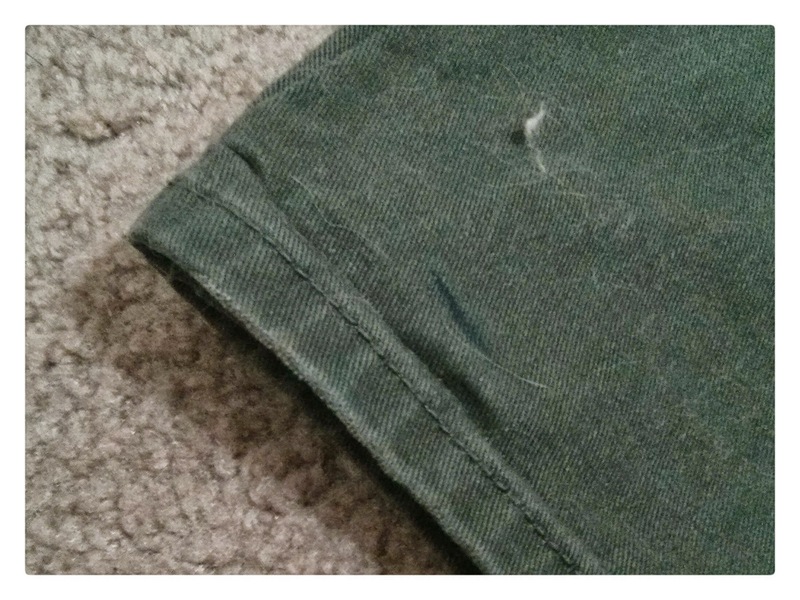 I BOUGHT A PAIR OF GREEN JEANS FOR CHARLIE, BUT HE DIDN’T LIKE THEM TOO MUCH. NO BIG DEAL BECAUSE NOW I GET A BRAND NEW PAIR OF GREEN PANTS! WOOT! OF COURSE, THE PANTS WERE A LITTLE TOO LONG AND A LITTLE TOO BIG FOR ME. NO PROBLEM! 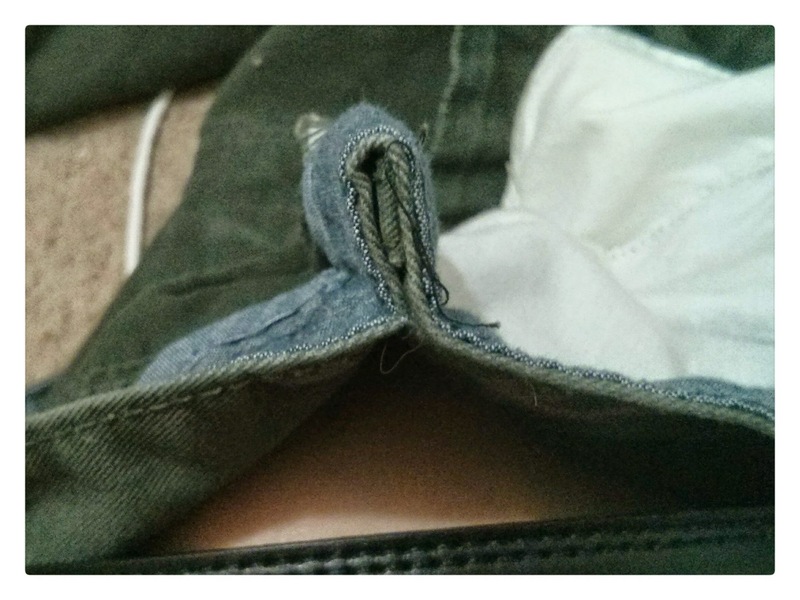 I HAVE BEEN HEMMING MY PANTS FOR ABOUT 10 YEARS NOW. PLEASE IGNORE ALL THE CAT HAIR. UGH! 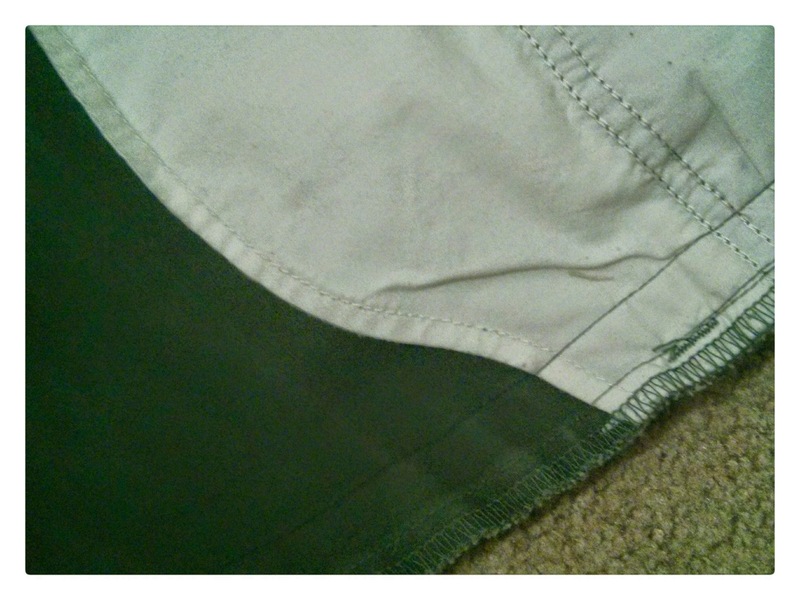 USING A SIMPLE TUTORIAL, I HEMMED MY PANTS BY KEEPING THE ORIGINAL HEM INTACT. AWESOME, RIGHT? I LOVE IT! I TOOK IN THE LARGE WAIST AREA BY PINCHING A FEW INCHES OF THE WAISTBAND ON THE LEFT AND RIGHT SIDES AND SEWING THE PINCHED AREA SHUT. 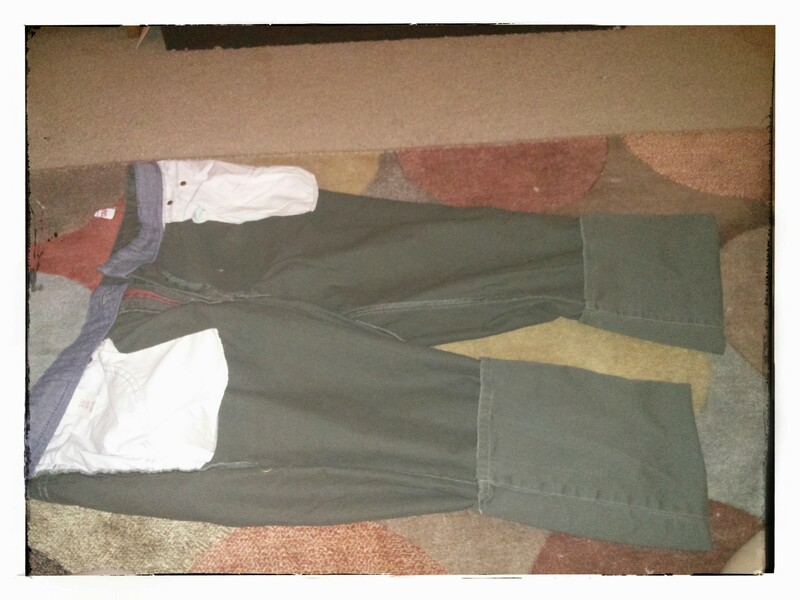 FOR A MUCH BETTER FIT, I TRIED ON THE PANTS INSIDE OUT AND MARKED A NEW SEAM OUTLINE. I SIMPLY SEWED A STRAIGHT STITCH ON THE MARKED AREA. AND BOOM! I HAVE A NEW PAIR OF PANTS TO WEAR! 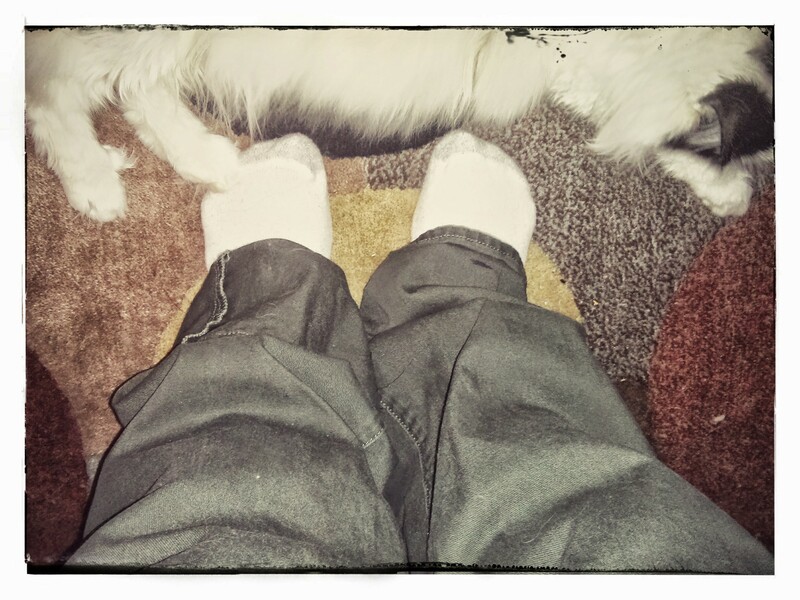 NOW, I JUST HAVE TO FIND THE LINT ROLLER TO TACKLE THE CAT HAIR ISSUE … THE JOY OF HAVING CATS.